Yea but still grateful to be doing something. hmm.. agreed. atleast something is there.. 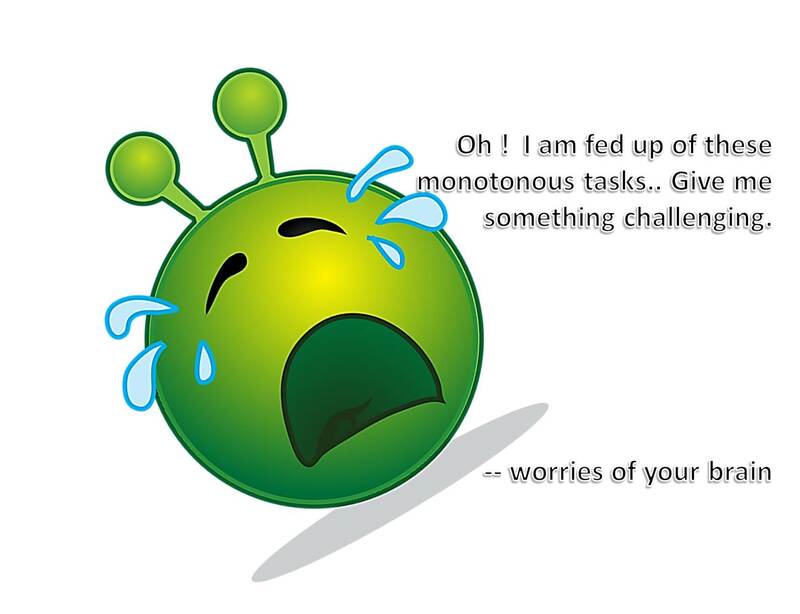 This is the sad reality Akhila.. Full of irony.. We seem to torture ourselves when it comes to the tasks that we must do and we are so bored of them at the same time… I have experienced it many a times in my life.. It can actually become very dangerous and can have adverse effects on our mental health. Hmmm…the brain needs motivation and challenges to function better. Up the game. Monotony can be tiresome. true.. negative happenings may make ourself missing the routine things..still there is a fight going on for betterment..
Look around you and catch new ideas of how to do better…or simply it might be a sign to move unto something new…don’t be afraid to step out but don’t beat yourself up while trying to figure out what next challenge you want to take up. Cheers!! I can relate myself to it bieng a sales & marketing professional,i cannot work in a monotous way always without having something different and exciting on my mind.Challenges bring excitement towards tasks breaking shackles of monotous way of work. ha ha.. what i wrote is just opposite to your ennui..
he he…let me ask my brain..